With epic climbs, spectacular views and a year-round cycle-friendly village at 1650m+, Falls Creek is Australia's number one destination for road cycling. For the avid cyclist Falls Creek is simply the perfect destination. 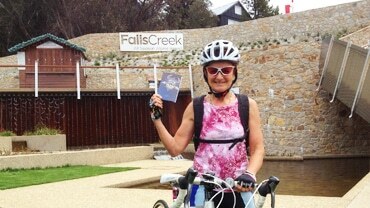 Consider this - Falls Creek has a dedicated all-season village, complete with accredited cycle-friendly businesses, all located at least 1650m above sea level. That makes it the perfect base to get the benefits of altitude training. 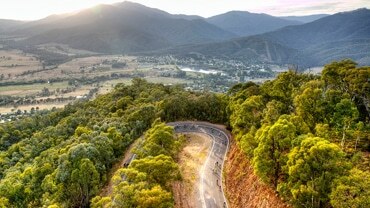 It is also the pinnacle of one of North East Victoria's elite 7 Peaks Ride climbs. Head off from Mt Beauty for the 30km ascent with an average 4% grade (max 10%) through spectacular alpine wilderness. Out of Falls Creek nearby destinations of Omeo, Anglers Rest, Bright and Mt Hotham are all within reach. With the sealing of the Bogong Alpine Way, you can now ride the entire 235km Alpine Loop from Falls Creek. Circumnavigating through Mt Beauty, Bright, Mt Hotham, Dinner Plain and Omeo, this is on par with the longest stage of the Tour De France in terms of distance and gradient. This ride offers incredible views across the Bogong High Plains, plus plenty of challenging climbs and heart-racing descents. With its central location to the loop and several challenging rides each direction, Falls Creek is the ideal destination as a cycling base. Audax rides are non-competitive long distance tours by bicycle, called "randonnees". The challenge of Audax is not in racing, but in riding at your own pace to finish within the time limit. The Audax Alpne Classic takes riders to Falls Creek from Bright with a variety of distances from 130km to the 320km Ultimate. On Sunday 11 March 2018, you have 13 hours to prove yourself. 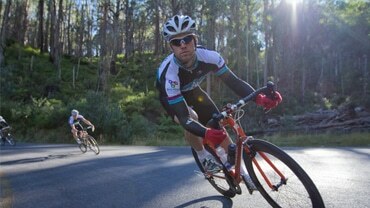 This is Peaks Challenge Falls Creek, recognised as one of the top 10 toughest one day cycling events in the world. If you're up for it, you'll tackle a 235km course through some of the world's most picturesque and challenging terrain with over 4000 vertical metres of climbing over three major climbs: Tawonga Gap, Mount Hotham, and the beast that is the back of Falls Creek. Victoria’s 7 peaks Alpine Ascent Challenge is an at-your-own pace cycling challenge which takes you up winding mountain roads, around steep turns and past spectacular views right to the top of Victoria’s Alpine Resorts. Your challenge for the next five months is to take on the toughest road climbs in Australia – which rival some of the famous Tour de France peaks.